"Just another day on the ground." So who exactly is in charge? Or maybe the question is, who should be? The obvious answer is Clarke. She is the rudder guiding everyone in a direction. She makes the big choices, and will most likely determine what will happen in the upcoming battle. If she moves towards a less bloody solution, it will probably shake up that way. If she chooses to 'kill them all,' unfortunately that is probably what will happen. That's an awful lot to put on the shoulders of a seventeen year old, no matter how natural a leader she is. But maybe Kane is right when he said, "The grounders trust Clarke. Maybe we should too." The fact that Clarke is so important makes the way Abby treats her a little infuriating. I can see the reasons, she is the Chancellor, and her mother. So there has to be a bit of a strange disconnect. How can she view her daughter as a commander, as someone who could potentially give her orders? Yet she has recognized that Clarke is important, and in charge of the alliance with the Grounders. To me, Abby constantly pushing Clarke down and questioning her choices shows she isn't the best person to be in charge. 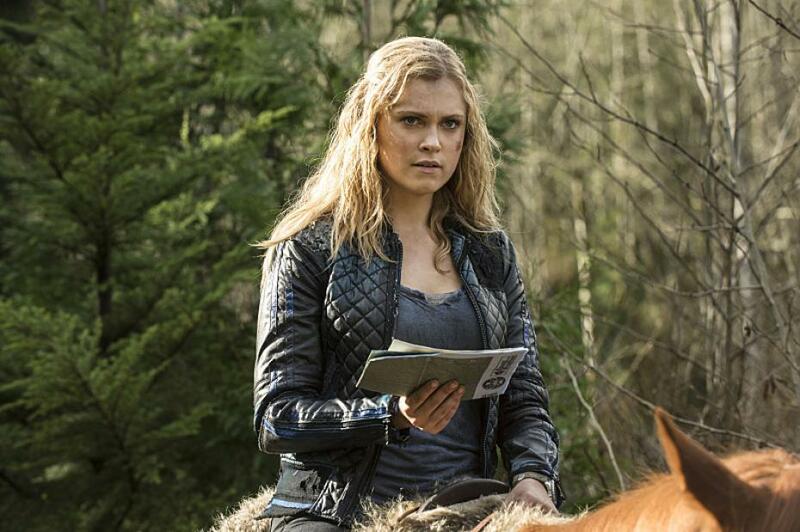 That she cannot separate her position from her role as Clarke's parent. Kane on the other hand seems to be a constant voice of reason. He is no longer power hungry, he genuinely seems to want the best for his people. If that means following Clarke, I bet he will. That makes him a good adviser, and possibly a better leader than Abby. Which is such a shift for me, because at the beginning of the season I wanted her to become Chancellor. Not that Clarke is infallible. 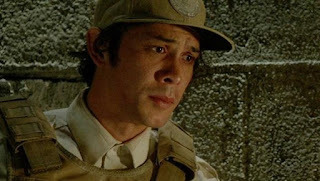 She has put all her hopes and plans onto Bellamy, who very nearly failed in his mission. If it wasn't for Maya, he would've just faded away. Which brings me to the Mountain Men. Jasper really showed some courage and leadership confronting President Wallace like that. In a somewhat surprising move, President Wallace took a stand, and held onto his last shred of humanity by refusing to bleed the 47. Of course Cage took the opportunity to take over, letting his own ambition and the 'needs' of his people justify his monstrous agenda. But are the majority of the Mountain Men evil? These people have been bleeding the Grounders by the hundreds for decades to keep themselves alive. They are vampires, used to taking what they want. Yet not all of them are monsters. The most obvious example is Maya, who is as complicit in the bleeding of the Grounders as former President Wallace is, but she has been betrayed by her own people and sees that their ways are evil. Does that make her choices good? She is a young woman in love, siding with the man she loves. But if that were it, would she have been so proactive in Bellamy's rescue? So okay, Maya is basically a good guy now, and perhaps Wallace has realized too late that his actions have been wrong. That doesn't solve the biggest problem. How many of the Mountain Men are actually evil? The security forces are obviously bad and complicit in the torture, mutilation, and brainwashing of Grounders. Lovejoy's death is also totally unambiguous. It was Bellamy or Lovejoy, and honestly who are we supposed to root for? Yet I love how they painted even that rather black and white situation in shades of grey. Meeting Lovejoy's son gave Bellamy and us a real sense of the stakes here. When I take a step back, the Mountain Men are doing monstrous things, but the same can be said for the Sky people and the Grounders. The Grounders tried to kill a bunch of teenagers. Kane and Jaha executed hundreds for relatively minor crimes. It is basically a messy, bloody and horrible cluster-bomb of three forces headed for an equally messy, bloody and horrible disaster, and there are a lot of innocents in danger of becoming collateral damage. Poor Bellamy. He has to play hero incognito, when he is so clearly in some major pain. I also think he made a new friend in that caged Grounder woman. Is she a new potential love interest? So they clean the Grounders when they are brought in for harvest, but then leave them to rot in their own filth in cages? Or do they hose... never mind, I don't want to know. Indra continues to be an interesting character. She is both clearly unhappy with the alliance, yet very loyal to her commander's orders. No matter how things play out over the rest of the season, I hope we get to see more of her. What happened to poor Lincoln? Harper is not doing well. With that much invasive bone marrow harvesting, I doubt she will survive much longer. This was a strong episode, with a lot of political maneuvering, heroics, and some very ambiguous themes. Which is why this show has gotten so damned good. 4 out of 4 Leaders vying for power. Surprised that you didn't even mention the amazing cold open of Bellamy getting captured. That scene is easily one of the most haunting, beautiful scenes I have ever seen. It was nice to see that President Arlo had a limit, but I could just tell that he was going to be immediately overthrown. And poor Bellamy! Scrubbed and injected and hung upside down and bled and he still saved the day. I liked that he couldn't do it without first being saved by Maya. It would have been too much if he'd gotten free on his own. You really hit the nail on the head. Even when it's clear who we want to come out on top, the things they will have to do do get there don't make me want to give them cuddles. Like killing the father of a small child. Or bringing a war right to the front door of multiple innocent children for that matter. President Arlo finally stood up for humanity and immediately got pushed down. Are they trying to say something about what's necessary to be a leader? Is a conscious just a liability?? Having seen the entirety of both seasons, I will only say that it gets much worse and the morals get much more murky. No spoilers though. I know we saw a lot of greatness in this season but this I think was the strongest episode so far. Fianlly Bellamy was put in focus and his entire journey through mt. Weather kept me on the edge of my seat. I'm glad they're humanizing the Mountain Men. For a moment I feared they would go with letting the 47 go and Bellamy realeasing the Grounders for a pointless at that point massacre for even more shades of grey, but they didn't go there and instead had the president usurped like we all knew he would be at one point. Octavia has gone full native now which is also great to see.